Key Difference: The term native refers to where the person has come from. This can be where the person is born or where the person has spent his childhood. Domicile, on the other hand, refers to a person’s permanent legal residence. 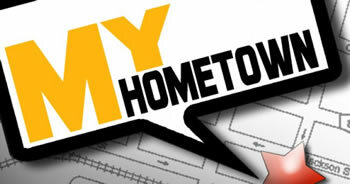 This is where the person has a home and is where they live. The term ‘native’ and ‘domicile’ are both used in law and are primarily used to determine a person’s nationality and their legal residence situation. As is always the case with law, the term can get quite confusing to use. The term native refers to where the person has come from. This can be where the person is born or where the person has spent his childhood. Native basically refers to a person’s hometown or country. Domicile, on the other hand, refers to a person’s permanent legal residence. This is where the person has a home and is where they live. The domicile residence may or may not be where the person was born, but is rather where they are officially residing. Also, a person may have left the domicile but if it is still their legal permanent address, i.e. they have maintained sufficient links to that place, then it will still count as their domicile, even if they have left it. Foe example: if they have accepted a job and moved somewhere else, but they are not sure if they are moving permanently, then their domicile will not change. Consider this example: Mary is a native of Finland, but she is a domicile of United States. As per this sentence, Mary was born in Finland. However, she is now living in the United States of America. Hence, Native refers to where a person was born; however, domicile refers to where the person legally lives. However, in many instances the native and domicile may be the same. In these instances, the person has lived where he was born. Let’s consider another example: John was born in Austin, Texas. He still lives and works in Austin. Hence, his native and domicile is both Austin, Texas. However, his brother, Tom, moved away from home to work in San Francisco, California. Hence, Tom’s native is Austin, Texas, while his domicile is San Francisco, California. Native refers to where the person originally came from, their hometown. 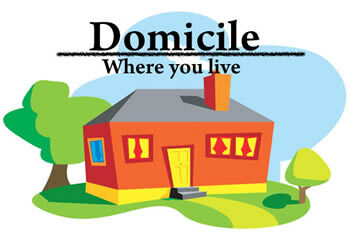 Domicile refers to a place that the person calls home. May or may not be different from their hometown. I am a native of Norway. My native town is New York. I am a native Scot. My domicile is London, UK. My domicile for the last five years is Australia, before that is was Spain.